When it comes to constructing equipment for the chemicals and pharmaceuticals industries or plant and machinery for the brewing industry, we are known at home and abroad for the development and production of reliable quality “Made in Germany”. Our name stands for professional expertise and top performance. After the Wilh. 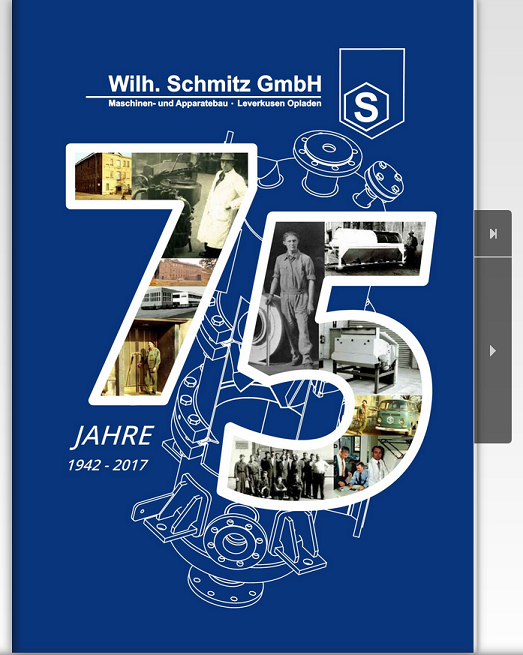 Schmitz GmbH company was founded in 1942, the family-run firm initially specialised in plant and machinery for the brewing industry, before later expanding its range to supply components for the chemicals industry. We nowadays offer our customers – reputable industrial concerns, breweries, malting plants and concentrated fodder works – a comprehensive range of vessels, equipment and powerful plant and machinery which both conserve energy and are friendly to the environment. We have executed large-scale construction projects involving silos and malt mills which have contributed significantly towards the company’s good reputation. In order to come up with the best solutions to individual problems, we have successfully opened up an additional market for our business with the parallel construction of chemical equipment. The company’s main operating activities now focus on the manufacture of individual items of equipment, such as agitator vessels, heat exchangers, columns and storage vessels in standard and special materials.